Early warning signs and treatments to delay progression of the disease. 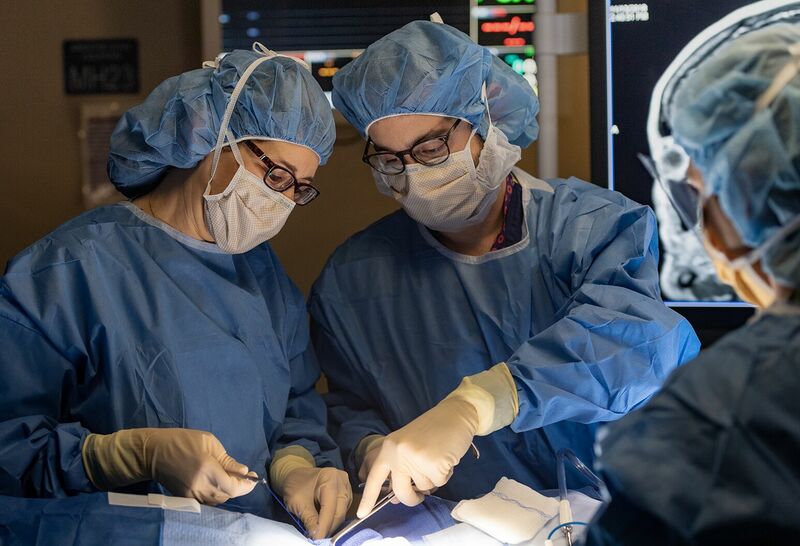 At North Shore University Hospital, our neurosurgery experts are recognized leaders in the treatment of brain, spine and nervous system disorders. Approximately 60,000 Americans are diagnosed with Parkinson’s disease each year. When people think of Parkinson’s, tremors, stiffness, and loss of dexterity usually come to mind. But what we now know is that patients with the disease often develop symptoms that may begin months, and sometimes even years, before physical symptoms appear. Two of these early symptoms are a loss of the sense of smell (and sometimes taste, too), and constipation. But the most significant early symptom is a specific sleep problem called REM behavior disorder, or RBD. With RBD, people spend more time in the REM stage of sleep, which is when we dream. In people with RBD, these dreams are very vivid, and are accompanied by vocalizations and movements (while still asleep). These movements can be so frantic that the person’s bedmate may need to be careful to avoid injury. While a tremor in the arm or hand is probably the most well known sign of Parkinson’s, about 40 percent of patients never actually develop them. The first motor symptoms to appear are usually stiffness or achiness on one side of the body, and it’s typically in the arm. Loss of dexterity is another common physical sign. You might notice a problem when you’re buttoning your shirt, tying your shoes, or using your phone and realize that these actions require a bit more precise dexterity than you are able to manage. That’s especially true if the symptoms appear in your dominant hand. 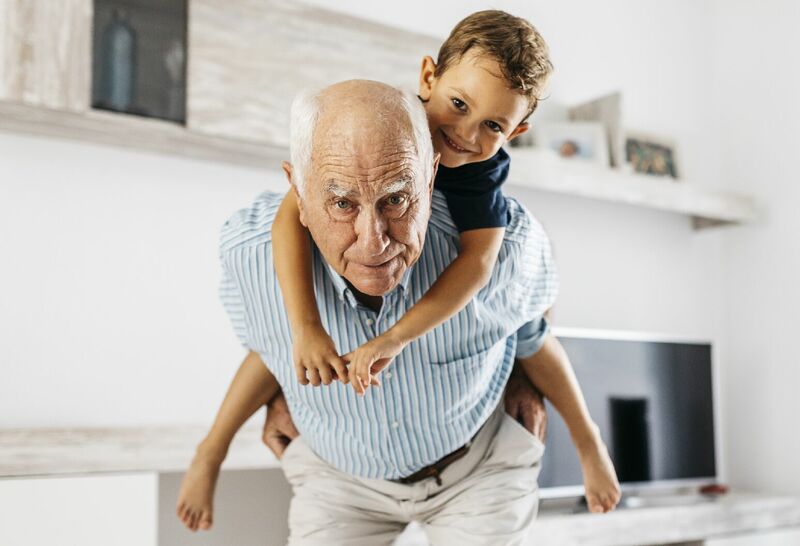 Many times, people mistake the physical symptoms for arthritis or the normal aches and pains that come with aging, and that can delay diagnosis. That explains why the average gap between the time physical symptoms start and when someone is formally diagnosed is usually a year to a year and a half. Studies show that high intensity exercise—such as running on a treadmill for 30 minutes three times a week—can considerably delay the progression of Parkinson’s, which can have an enormous impact over time. For patients with early Parkinson’s disease, we often prescribe exercise, usually in combination with a medication called rasagiline that in clinical trials has been shown to delay the progression of early disease. We are close to finding ways to target the underlying biology of Parkinson’s disease rather than just treating the symptoms. There are a number of promising medications in the research pipeline that may improve symptoms, significantly delay the progression of the disease, and possibly even prevent Parkinson’s. The hope is that someday, we will be able to identify people who are at risk for developing Parkinson’s and treat them before they ever develop symptoms. It’s an exciting prospect. Meet Dr. Alessandro Di Rocco, neurologist. Make an appointment with a movement disorders specialist. Learn more about Northwell Health's Parkinson’s & Movement Disorders Center.